We offer a wide range of Investment Banking services including capital markets/IPO issue management, mergers and acquisitions, restructuring advisory services, and private placement of equity. We have a good understanding of the markets, policies and procedures and are able to leverage our relationships to get a better deal for our clients. We are a category 1 merchant banker registered with the Securities and Exchange Board of India authorized to carry out all regulated investment banking operations in India. We have expertise in carrying out the marketing activities for Initial Public Offerings through our dedicated network of sub brokers. In FY09, we ranked 19th in terms of amount procurement and 17th by application procurement for IPO’s. We assist our clients in getting the best match for their businesses for both the sell and the buy side. We are involved in assessment of the target, identifying potential buyer, arriving at proper valuations and negotiating the terms to lead to closure of the transaction. 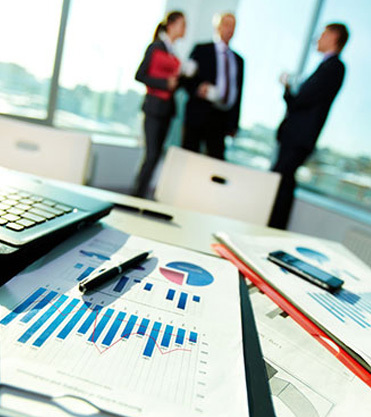 We help our clients in raising funds for their business strategies from Private Equity houses. Our role for the same includes understanding the clients business thoroughly, understanding their growth perspectives, corporate governance issues, transaction structure, find out suitable investors, due diligence and negotiating on the valuations to final closure for the client. We intend to add more services to our existing Investment Banking bouquet and be the preferred choice for clients for their fund raising and advisory needs.